This Christmas, BAA’s Chiara Sparkes stars in The Snow Queen at Dundee Rep.
Winter is magical and mysterious. There are secrets in the snow. But when Gerda’s best friend Kai goes missing, she must face her fears and embark on an epic quest to find him. From the writing team behind Little Red and the Wolf and the creative team behind last year’s A Christmas Carol, comes a seasonal adventure for the entire family. With an epic original score, spellbinding storytelling, and more than a pinch of Christmas magic, this thrilling reimagining of Hans Christian Andersen’s classic fable promises to be a fairy-tale you won’t want to miss this Christmas. 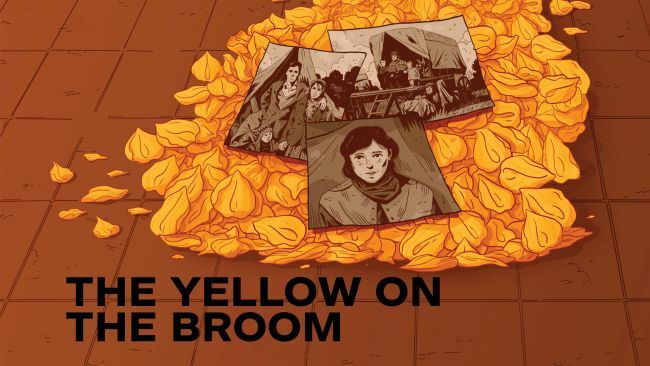 Brennan Artists Chiara Sparkes and Barry Hunter have just started their run in The Yellow on the Broom at Dundee Rep, which shows until 22nd September, then tours for one weekend at the MacRobert Arts Centre from Wednesday 26th September. Adapted from Betsy Whyte’s beloved autobiography, The Yellow on the Broom is a heartfelt, funny, and rich account of human endeavour. Filled with music, song, and an array of vibrant characters, Bessie’s story both passionately tells of her life and vividly portrays the prejudice faced by Travellers. Directed by Andrew Panton (Passing Places, August: Osage County, Love Song), The Yellow on the Broom kick-starts his second season as Dundee Rep’s Artistic Director. For more information and footage from behind the scenes, click here. Meet the Slumber Sisters, featuring Chiara Sparkes. An all-singing trio whose job it is to monitor our dreams and ensure that our night-time wanderings remain healthy and safe. Armed with an infinite supply of remedies, they arrive to create dreams that will help us through difficult times. Eddie soon catches their attention. She might be quiet and reserved by day but at night Eddie’s dreams are increasingly wild, chaotic and sometimes terrifying. It’s been like this ever since her gran died. As Eddie’s grief comes out in force at night, the Slumber Sisters decide it’s time to intervene. Performances begin on 28th April with a Scottish tour.